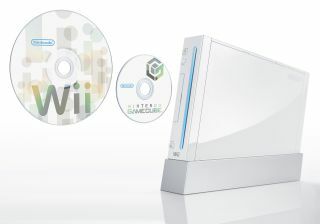 Shoppers hoping to pick up a cheap Nintendo Wii this Christmas amid Kinect and PlayStation Move fever can forget about it, according to the company's president. The Wii remains the cheapest console on the market, but sales have slumped in recent years after Nintendo failed to capitalise on the phenomenal success of the first couple of years. Now with Microsoft and Sony outing motion gaming add-ons, you might think the Wii would send out an 'hello! over here!' message with a price cut this season? However, President Satoru Iwata told the AP: "Of course, we cannot say it will never happen, but we are not thinking of it for the near future. Instead Iwata is keen on identifying potential buyers who have yet to get in on the action. That might not be enough to rescue Nintendo's fortunes after it posted a $24m loss for the last six months, with declining Wii and DS sales playing a role. Indeed, it's unlikely that we'll see good news for the company until the the delayed Nintendo 3DS eventually launches in Japan on February 26th 2011.